Lincoln, Ford’s half step into the luxury car market, has recently been left standing on its own in the rapidly evolving high-end vehicle segment. While it used to be flanked by Cadillac, GM’s luxury offshoot has stampeded ahead in order to meet the Germans eye to eye. Even though Cadillac hasn’t actually distanced itself from the GM of old in terms of quality, the public now has a different image of the automaker and it is no longer seen as a brand for grandparents. Lincoln on the other hand, has not managed to isolate itself from this stereotype. 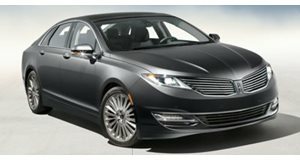 Aside from the quirky grilles that adorn the MKX and were once worn by the MKZ, evidence that Ford does not want to go further to differentiate Lincoln from the core brand and its unfortunate public perception is seen in the fact that it shares many platforms, buttons, and technology with its Blue Oval counterparts. Its middle of the pack BMW 3 Series fighter is no exception. I had my doubts about the MKZ the moment I touched down in Phoenix, Arizona, where I had a 2017 Palladium White Gold example waiting for me in long term parking. I had flown to Arizona after a long day of work to see family for the holidays and potentially sell my grandparents on the car, but even though I had spent the day behind a desk and on the plane, I had another two hours to go until I reached my home town. As the airport parking shuttle guided me to the Lincoln, I was disappointed to see a “2.0” badge on the rear of the MKZ. Despite being equipped with all-wheel drive, saving me from relying on the front wheels for motivation, I was hoping for the 3.0-liter twin-turbo EcoBoost engine that was blessed with 400 horsepower. It’s available in the FWD model as well, but Ford wisely detunes it to 350 ponies in order to save drivers from massive bouts of understeer. Not that the 2.0-liter turbocharged four-cylinder EcoBoost isn’t impressive, especially with its 245 horsepower and 270 lb-ft of torque, it’s just that any self-respecting enthusiast relishes the idea of a sleeper car, which a Lincoln with muscle certainly is. If it isn’t an anonymous speedster, then it must be about practicality, right? Well, the 15.4 cubic feet of trunk space swallowed my luggage without issue and proved my guess right, but that belief instantly vanished the second I sat inside. Standing at 5”8”, I am in no way the first choice for a game of pick up basketball. But even with the seat lowered as far as it can go, I found my head touching the ceiling in what felt like one of the most cramped interiors I have sat in. The operable panoramic roof and its accompanying window shade have something to do with this as they lower the roofline inside of the car, but it seems counterintuitive to use a glass roof to induce the feeling of space while its presence drastically reduces actual interior space. I was too tired to care so I set off into the night, traversing interstate 10 headed south towards Tucson. The automatic rain sensing wipers detected a rare Arizona drizzle and kept the windshield clear while the automatic high beams flickered on and off, ensuring that the Lincoln was a polite highway citizen to cars in the oncoming lane. Fatigued from a long day of work and travel, I let the automatic cruise control and the lane keep assist do most of the work. Meanwhile I was absorbed by the color changing ambient lighting, caressed by the massaging heated seats, and surrounded by the 20 speaker Revel audio system. With a lullaby like that, I slept like a baby once at home and awoke to a pretty sight. I hadn’t noticed it in my haste at the airport, but Lincoln listened to customers and ditched the ugly wing-shaped grille that adorned 2013-2016 models and borrowed the front end off of the jaw-dropping Continental for the 2017 MKZ. While its side silhouette still looks like a fish and the rear remains polarizing, the dashing wide grille drastically ups the MKZ’s level of confidence in the aesthetics department and helps the Lincoln establish a less aloof identity. It’s the little things like these that add up, but then again, the entire crux of the MKZ (and Lincoln for that matter) is to add bits, bobs, and toys to a Ford until buyers feel justified in forking over $53,405 for what essentially is a dressed up Fusion. Like the MKX we recently tested, the MKZ ditched a standard shifter and replaced it with P, R, N, D, and S buttons lain to the left of the infotainment system. Tacky as that may be, it was not as bad an offender as the third iteration of SYNC, which dissolved any positive benefits gained by laying menu selections out in a series of apps like an iPad due to a tendency to hesitate after registering commands. Unfortunately, this sense of an overstuffing in the electronics department is a common theme on the MKZ. Like the high school kid who wears flashy shirts with intricate designs to hide a pimple-riddled face, the MKZ seems to try and make the interior feel like it has a lot going on using 24 buttons on the steering wheel and a cluster of adjustable climate control and audio switches to hide the fact that underneath it all, this is just a $53,405 Ford. Expensive? Yes, because even though it’s fully loaded with $11,080 (not including a $995 destination and handling charge) of options thanks to a panoramic roof, technology package, climate package, and contouring massage seats, a similarly spec’d BMW 3 Series could be had for just a couple thousand dollars extra. This would be fine for a direct competitor to the Bimmer, but the gaps left during the transition from Ford to luxury Ford render the Lincoln as yet another American car that’s falling short of the competition. Regardless of the attempt to cleanse its cheap car image by creating a cocoon of comfort using four heated seats with cooling ability up front, dual-zone climate control, metal speaker covers, and wood paneling, the real luxury feel comes with the ride. Smooth is one way to put it, but the active noise cancellation helps do the trick by allowing the driver to shut out the elements and bask in the interior atmosphere that’s heated, cooled, and lit to taste. As a passenger carrier used to shuttle my family from one Christmas event to another, the Lincoln MKZ did just fine, especially with the three mode adjustable suspension residing in “Comfort" mode the majority of the time and only going into its stiff “Sport” setting when I wanted confidence at high speeds. Now if there’s one thing to know about Arizona, it’s that the desert state is one of the lucky parts of the country where winter tires are completely unnecessary. Grand Canyon State residents residing in the southern half rarely experience snow unless making a trip to the mountains, which is exactly where I decided to go in part to peg my cousins with snowballs and also to test the Lincoln’s all-wheel drive. While owners of rear-wheel drive pickup trucks had a hard time getting out of the snow, the Lincoln was able to drift pass without a hint of slippage. 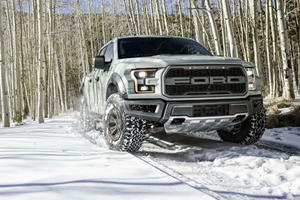 The long road down enabled me to manipulate the paddle shifters, using the six-speed automatic transmission to slow the 3,900 pound luxury Ford down the mountain without taxing the brakes too much. At ground elevation, the atmosphere had heated up enough to open the panoramic roof, which is so large that opening it essentially removes the entire glass roof panel. Rear visibility becomes an issue with the top down given that you have a roof panel straddling the rear window, but the MKZ’s ability to retain its cozy cocoon feel even with its roof missing is impressive. Not as impressive but also not bad was the MKZ’s fuel economy, which, with a generous blend of highway and city driving, ended at a solid 21 mpg, making the EPA’s estimate of 17 mpg city and 26 highway sound believable. By the time Lincoln was ready to take back the MKZ, I wasn’t the least bit sad. Not that the Lincoln was bad, but the lack of attention Ford pays the brand shows strongly with the MKZ retaining an aloof and anonymous personality that seems to send the majority of luxury car buyers to the Germans. Those who stay are people who care little about a badge, as the name Lincoln now seems to be nothing more than a dose of nostalgia for those old enough to remember its glory days. Photos by Anthony Ruggiero. 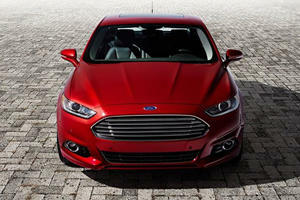 A total of 680,000 cars are caught up in the recall. Slowing down production to meet diminished demand is smart but still reads bad.